Homecambridge first B2An explanation of the listening b2 first practice with examples. May 23, 2018 julia cambridge first B2 Comments Off on An explanation of the listening b2 first practice with examples. 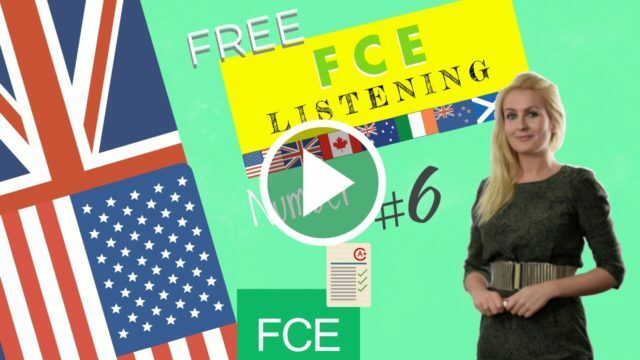 FCE Course Lesson 36 – An explanation of the listening b2 first practice with exercises. According to Wikipedia, candidates are able to understand the main ideas of complex texts that deal with both concrete and abstract topics, even if they are of a technical nature, provided that they are within their field of specialisation. They can relate to native speakers with a sufficient degree of fluency and naturalness so that communication is carried out effortlessly by either of the interlocutors. They can produce clear and detailed texts on different topics as well as defend a point of view on general topics indicating the pros and cons of the the latter.